Download the 'VOLT FITNESS NIGHTCLUB’ app to view our timetable. Simply book yourself into any session kick start the trial. 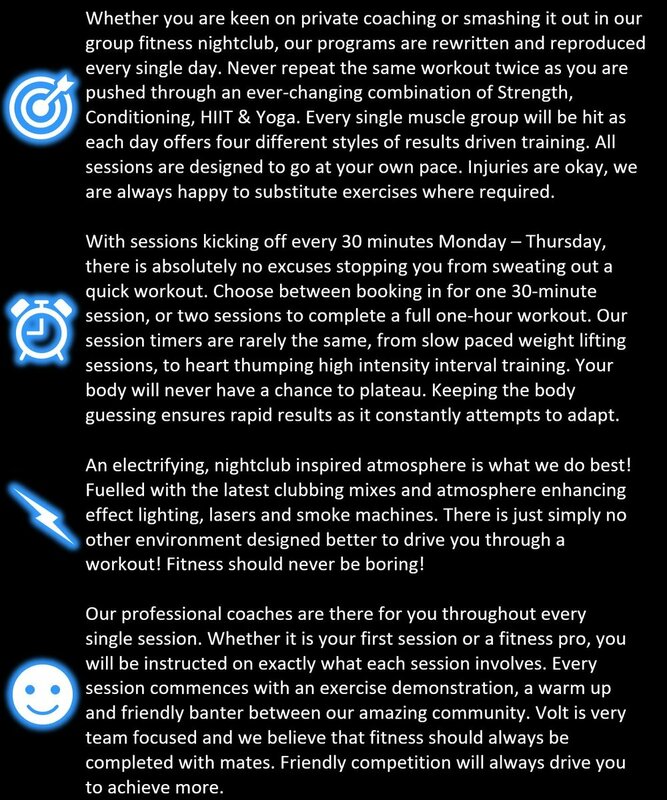 How did you hear about Volt Fitness Nightclub? Thank you! A FIT Bunker team member will reply to you ASAP!